I recently planned a 15-day tour of England and Scotland for my parents, and one of the highlights of their trip was stone circle access at Stonehenge. After they posted their pictures, many people commented that they didn't think you could get in there anymore. Most of them had booked their tours with big tour companies, and it was never presented as an option. Instead of walking among the stones and really taking it in from the inside, they were forced to stand behind ropes and look in from the outside. Although it wasn't a big deal to everyone, I know there are some people who only find out about stone circle access tours after they return home from that once in a lifetime trip. I hate to think of people having trip regrets, so let's talk about what I did to make that happen for my parents – and how you can book your own tour of Stonehenge with stone circle access. 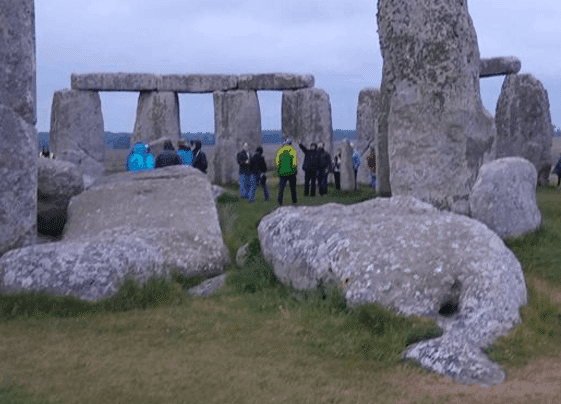 What is the Stonehenge Stone Circle Access Tour? Stonehenge Stone Circle Access Tours are special tours operated before and after opening hours to allow a small group of visitors to walk among the stones as people have done for thousands of years. There are no more than 30 people on a tour, and the tours are offered on a very limited basis. It will cost £35 for an adult or £21 for children aged 5-15 (rates are good until the end of March 2018). Children under 5 are free. You can NOT touch the stones on this tour or any other. Too much damage has been done over the years, and they want to preserve the site for many generations to come. “When we were in England we got to see the Stones…Front row seats! No not those Stones…these Stones! Stonehenge up close! Had to pay extra to do so but it was an after hours tour where we got to mingle among the Stones for about an hour. First off, know that the Stonehenge tours you see around the internet are not actually affiliated with Stonehenge in any way. Stonehenge is operated by English Heritage, a non-profit preservation group similar to the National Trust. Stonehenge does not offer tours in the sense that you get accommodations + transport + access. They only sell the on-site access. The tours you see offering transport or lodging + Stonehenge are run by for-profit tour companies. There's nothing wrong with that, and it may be the best and most convenient option for you – but we'll talk later about self-booking so you know all your options. Keep in mind that unless you book a tour that specifically tells you you'll get stone circle access, it's 99.99% likely you won't be getting stone circle access. One plus to commercial tours is that you may get great commentary along with your tour. Then again, it could be terrible, so investigate your tour company and inquire about the expertise of the guides if that's important to you. The other important thing to bear in mind is that if you use a tour company, you'll likely leave much earlier in the morning (some leave London or Bath as early as 4:30am) or be out much later at night. Some will pick you up and drop you off at your hotel, which means you may also have to wait as others are similarly collected and dropped off. When you're on a trip and trying to maximize where your time and energy go, you might feel that's not the best use of your resources. Booking your own Stone Circle Access Tour is not hard, but there are several steps involved, and you need to start planning early, especially if you'll be traveling during the peak travel season (roughly May – August). You have to apply for stone circle access, and there's no guarantee you'll be accepted. I booked for a May visit in February and had no trouble, but at the time of writing it's now July and there's no stated availability until New Year's Eve. If you wish to visit during the solstices, know that the stones are open, but extremely crowded. Unfortunately, many of those revelers enjoy urinating, defecating, vomiting, and otherwise desecrating the site. Employees have been quoted saying that the stench lingers for days, so visiting during or shortly after may be less than ideal. This suggests that members will be given priority over non-members (though they don't actually state it). Because of that, and because they're also fantastic organizations that support the preservation of history in the UK, I strongly recommend becoming a member of at least one. I gifted my parents a 1-year adult + senior membership for £81. 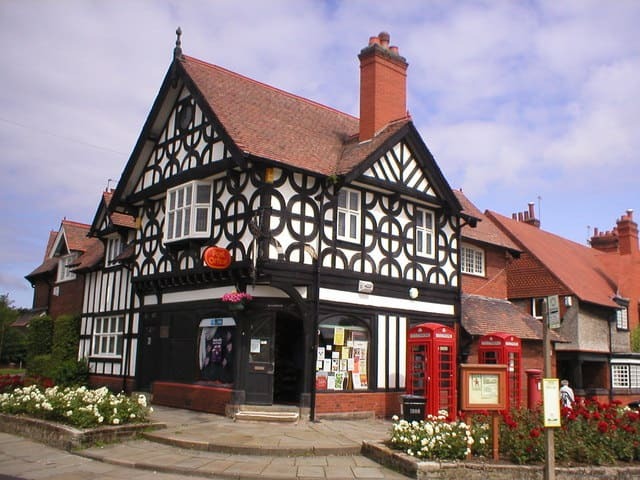 They received a lovely printed guide in the mail, online access to their member site and special deals, plus discounts and free admission to more than 400 historic attractions around the UK. They do offer a short-term membership for those traveling from abroad, and you can review the options at the links below to decide what's the best value for your situation and plans. Please note that the Overseas Pass doesn't include as many sites and discounts as the standard membership. A standard English Heritage membership gives you free access to the main Stonehenge tour regardless of whether you end up getting Stone Circle Access (normally £16.50 for a standard adult membership). You'll also get 2-for-1 admission to a number of pricey attractions like Edinburgh Castle and Stirling Castle, should you intend to venture up that way. 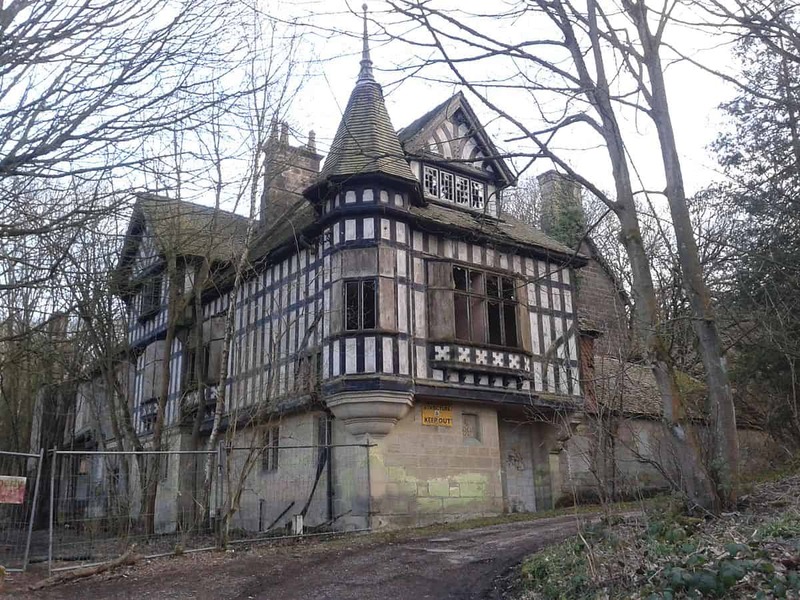 If you don't opt for English Heritage, National Trust is the other big player. You can learn more about their organization here. The application for Stone Circle Access can be found here, and their tour information page is here. If you're accepted for one of the times you requested, they'll contact you about making payment. If you're not accepted for your chosen dates, you may be able to inquire about other times that would work for you (assuming they're offered and you're still planning on being around). The hardest part about arranging your Stone Circle Access Tour is figuring out transport. 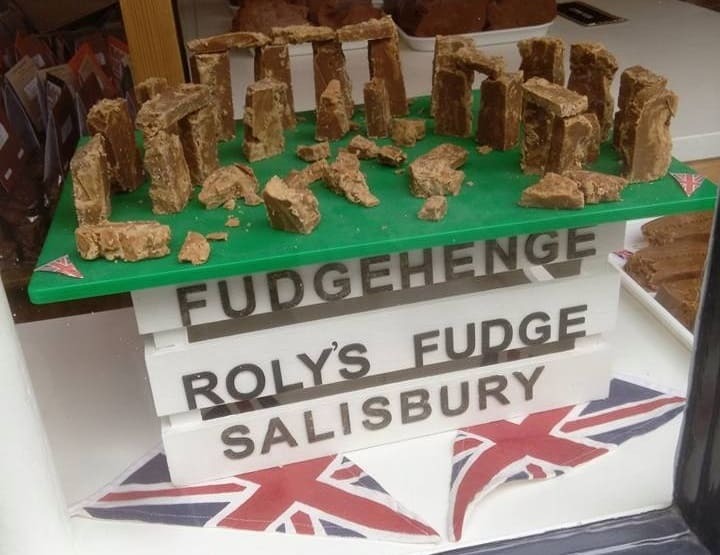 The typical departure point is Salisbury, which is around 10 miles away from Stonehenge. Although there's a Stonehenge bus that departs from Salisbury's train station, it only runs during and shortly after the normal business hours at Stonehenge. Early morning stone circle access visitors might be able to get a ride back to Salisbury this way (with a lengthy wait considering the morning tours are one hour long at 6:45 or 8, and the first bus doesn't leave Stonehenge until after 10). The ride there will still be an issue, though. Evening tour participants will face a similar dilemma. The most straightforward option is to rent a car, but that's not always desirable. Many people aren't comfortable driving on the left side of the road, and rental cars + the cost of petrol can be expensive if you need to go far. Remember, fuel is substantially more expensive in England, and it takes a lot longer to drive a mile on curvy rural British roads than on most American interstate highways. If you do decide to drive, be sure to bring a physical map or get built-in SatNav, as your phone's GPS may lose signal in rural areas. If you don't wish to rent a car, I'd recommend staying in Salisbury and taking a taxi. The taxi company can recommend a good pickup time and give you a quote for the trip + wait time during the tour. It's a very common request for them, so you can rest assured they know what they're doing and they'll give you an accurate quote in advance. If you're coming from Salisbury, you can expect to spend somewhere in the neighborhood of £50 on the taxi ride. In my research, I found AA Taxis to get the best reviews, and you can call them at +01722 505011. 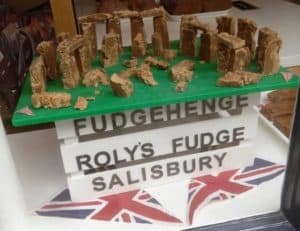 Salisbury is a gorgeous destination in its own right, and you can use the rest of your time there to visit the cathedral and stroll around this old medieval market town – maybe even check out Fudgehenge while you're at it! One tip for those on a longer UK trip – check out Pear Tree Serviced Apartments in Salisbury. They offer apartment-style rooms, a complimentary welcome breakfast, and most importantly, a laundry room. Although you can find full service laundry and off-site laundrettes in many towns, it's often more convenient to do it on your own schedule at the hotel. My parents said they enjoyed their brief stay greatly, and the hotel was right next to the train station. They also noted that it was near a number of grocery stores, which would have been handy (and cost-saving) if they spent more nights there. Remember that it's always best for small hotels if you book directly with them. However, if you don't have a credit card that waives foreign transaction fees, or if you like to collect free nights on Hotels.com (you get one free for every ten paid), you can also book a room at Pear Tree there. Once you've booked your Stonehenge Stone Circle Access Tour and sorted your accommodations and transport, there's only one thing left to remember – bring an umbrella and a warm windbreaker or coat! It can be quite chilly early in the morning or late in the evening, and England is not exactly known for being dry. All of that is made even more noticeable due to the vast plains surrounding Stongehenge. There's nothing to block the sharp winds. 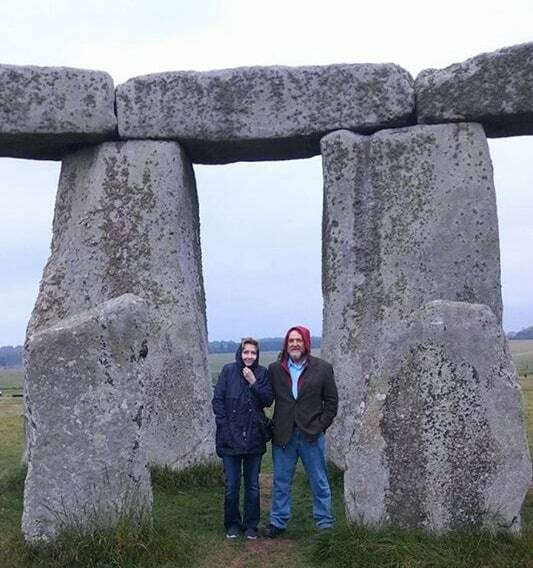 My parents went in mid-May and found themselves quite comfortable everywhere except Stonehenge, which they said was freezing. Have you booked your own trip to Stonehenge? Please share your tips and feedback in the comments!